2017 at times resembled Tom Hanks in Castaway; lost, helpless, and worryingly unkempt. It felt like a year-long tempest, with protectionist politics holding globalization beneath the waves, drowning; Hurricane Harvey revealing the ubiquitous, insidious extent of female harassment in the workplace; a cloud of smog descending after Donald Trump pulled America out of the Paris Climate Agreement; and the investigation into Russian meddling in the US election showing the malevolent potential of technology. 2018 though, offers the chance for MBA students to show that globalization can be a force for good, female empowerment is more important than ever before, and the onus is on corporations to harness their responsibility for sustainable management. “When I see the students […] studying with international professors and peers, they elevate their global mindset. It makes them more business savvy, more practical,” says Peter Hill, senior director of career development at Hult International Business School. Of course, by forcing students from all over the world to work together on projects and case studies, there will be disagreements. But part of leadership development comes from that. Being able to collaborate with individuals from different industries and countries, with different personalities, is vital for the development of a global mindset. For global leaders to come to the fore, MBA programs need to focus more specifically on the aspects of long-term career development in the new year, says Jane Barrett, co-founder of career development company, The Career Farm. “In a rapidly changing workplace active career development is a life-long skill both for [students], but also as a competency for leading a team. Giving students a structure to consider their career and help their staff develop is crucial,” she says. Jane also believes that in order to develop and maintain success, leaders need mentors throughout their own development process. “There is a real need to show how to identify these key players and engage the as well as providing the same framework to help others,” she adds. Mentorship is a prominent feature of the Cass Global Women’s Leadership Program Scholarship—which offers four female MBA candidates a 50% discount on tuition for each of Cass Business School’s four MBA programs. The scholarship highlights the importance for 2018 to be another year in which female leadership programs in business continue to excel. “The number of women in top management roles is disproportionately low compared to the numbers at entry and middle-management levels,” explains Dr. Canan Kocabasoglu-Hillmer, director of the Cass Global Women’s Leadership Program Scholarship. “Yet it is at that level where they truly could make a difference; there is strong evidence that top management team diversity affects decision-making quality positively,” she adds. But the effort has to be universal, Canan says, as it is equally as important to include male colleagues in the gender inequality conversation, and explain how collaboratively they can help change the “organizational factors” that form the divide. “After all, these cohorts are the leaders of the future,” Canan says. Being a leader of the future is a key mantra for the clean energy sector, an industry in which Luca Piccardi works, an MBA graduate from Copenhagen Business School. “MBA programs should therefore focus on creating and fostering a mentality of change within each specific area—from finance to supply chain—by engaging with alumni and professors who most feel the drive for change,” he continues. For Luca, the MBA can play an important role in pushing the clean energy and sustainable development agenda. “MBAs can leverage the virtuous cycle by promoting and encouraging the development of ideas within the industry,” he says. Innovating in the clean energy sector, or any sector for that matter, now requires a keen understanding of technology. The power of AI to propel company development is prominent wherever you look in the business world. Indeed, that is the basis of the work Alessandro Vitale does, an MBA graduate from MIP Politecnico di Milano, who launched two Artificial Intelligence startups after graduating. He highlights the power of the technology in a quote from Erik Brynjolfsson and Andrew McAfee, in the Harvard Business Review—“Over the next decade, AI won’t replace managers, but managers who use AI will replace those who don’t." 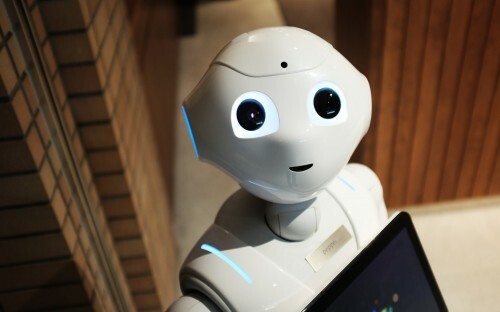 He continues by explaining that it will be key for MBA programs to provide students with the “tools to navigate the AI landscape”, as they attempt to train the future batch of tech-savvy leaders. “First, they have to be able to distinguish what is already feasible or upcoming in AI, from what is just marketing or fake news,” he adds. Finally, he notes, it will be important to execute and lead change, moving your company culture forward and bringing the rest of the workforce up to speed on the potential of the technology. “Managers capable of finding common ground between their business, their people, and AI, will design out future,” he concludes.